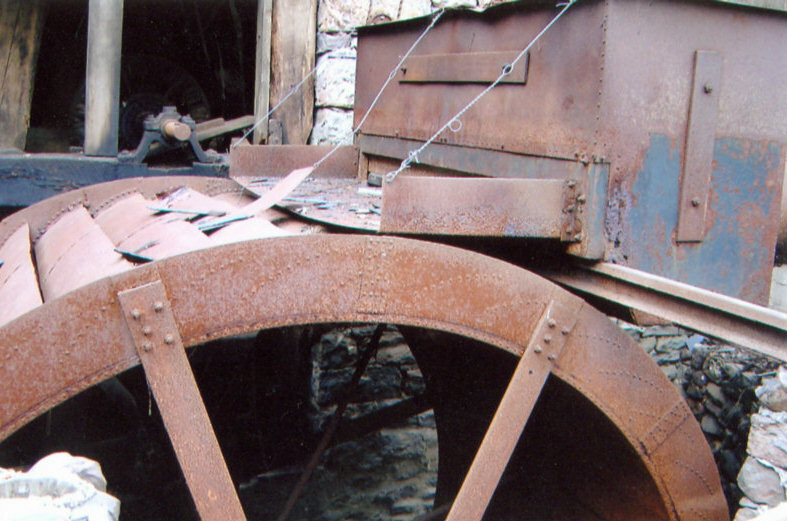 1-Fitz Wheel after being replaced near the position it was found before renovation. 2-Wheel after restoration and grading. Note the stone race walls have been completely removed and the area landscaped. (See 14 below) 3-Side view. 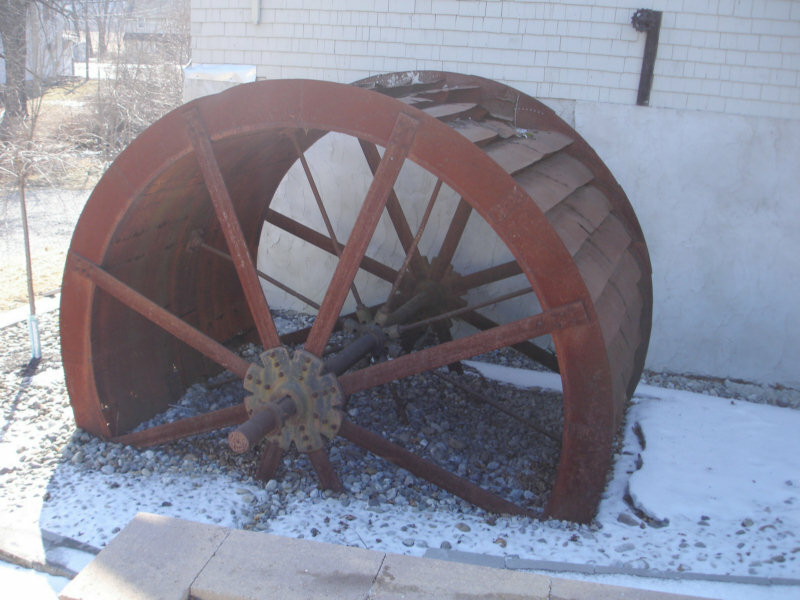 Wheel is on the north side of the building. 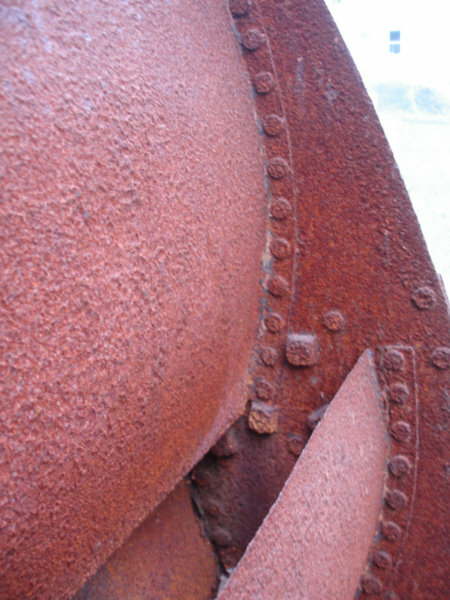 4 side view showing structural rivets on wheel 5-Detail of buckets. 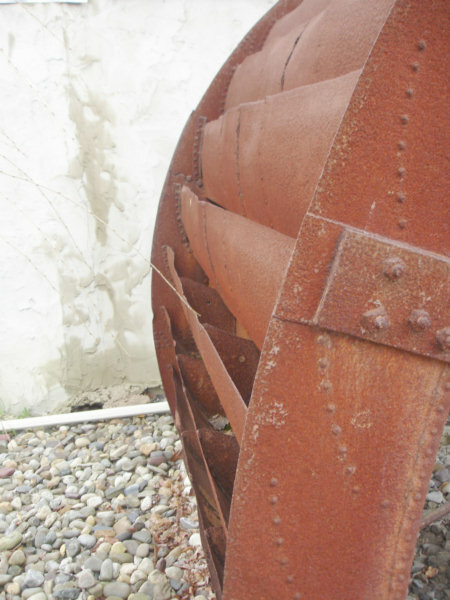 6-Profile of wheel and long buckets. 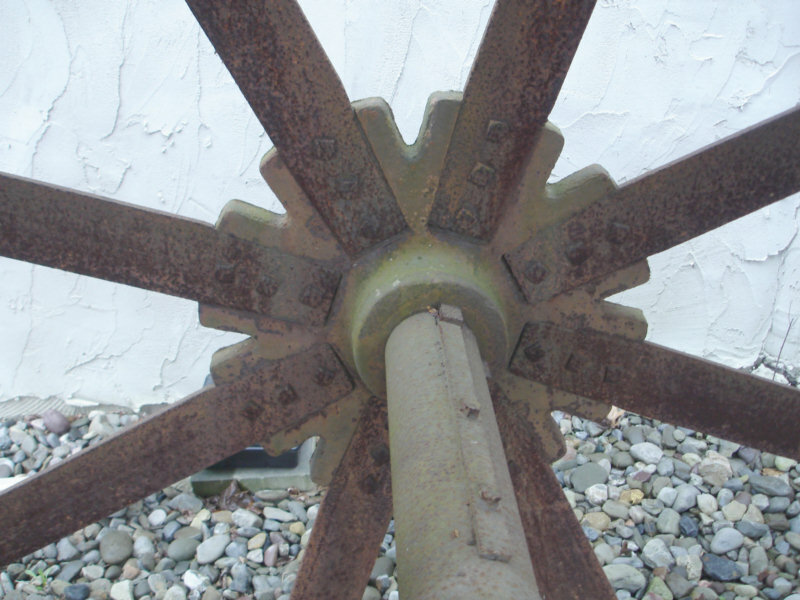 7-Detail of Outer wheel hub. 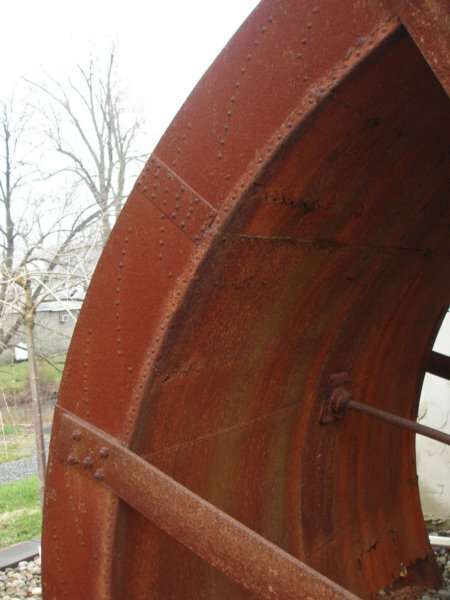 8-Backside of hub. 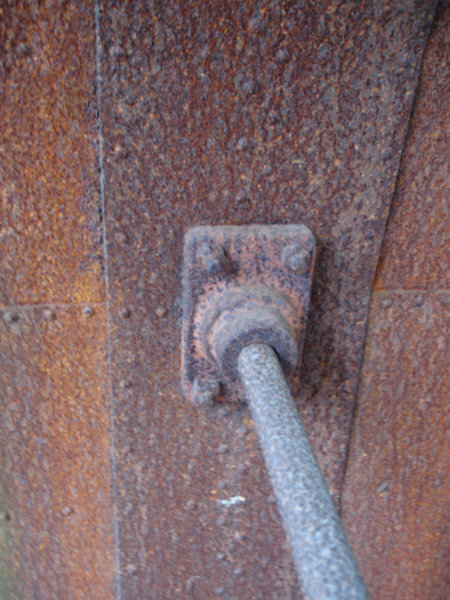 9-Detail of one of eight center support struts. 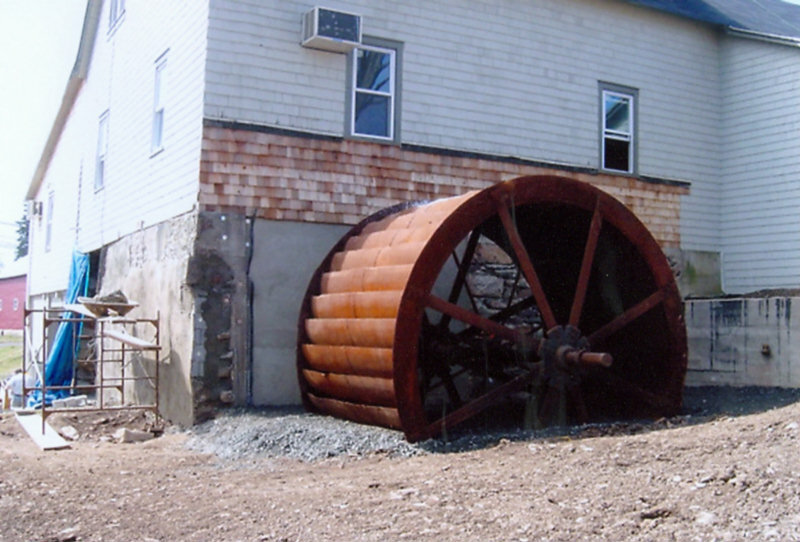 10-Technical drawing of Fitz Water wheel. 11-Schematic of Power Distribution-North Elevation. 12 Schematic of Power Distribution-Front Elevation. 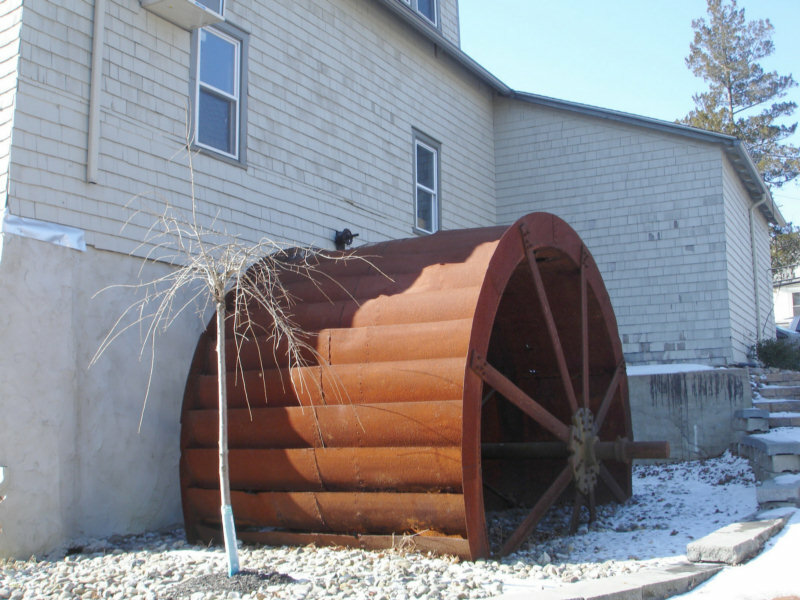 13-I believe this photo shows that an earlier water wheel was located as shown in caption. 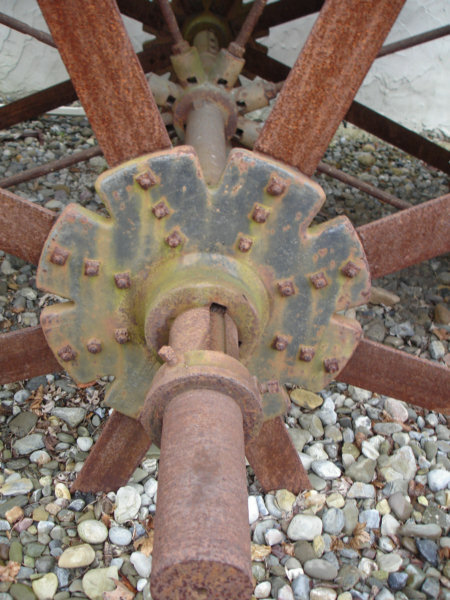 The metal Fitz wheel was a later modification as indicated by the new gear train arrangement and revised race. 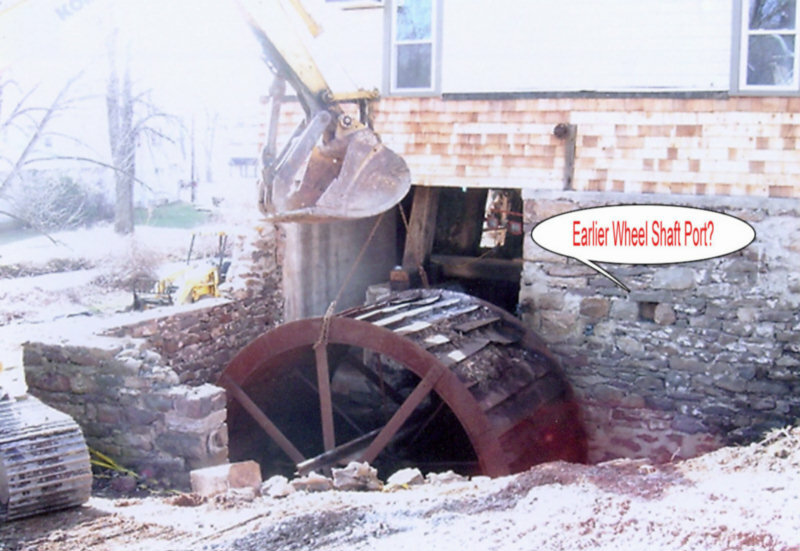 I believe the original race may have ran directly to the stream located to the rear of the building.14-View of flumes, reservoir, spillway (Fore bay) and wheel prior to demolition. 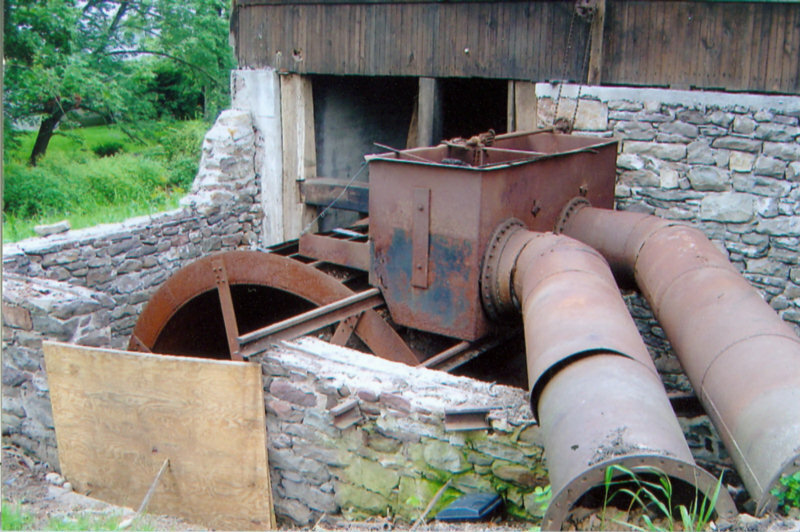 Note the earlier cement work on the rear wall and location of wheel.15-Profile of reservoir and spillway. Note iron rail supporting reservoir tank. 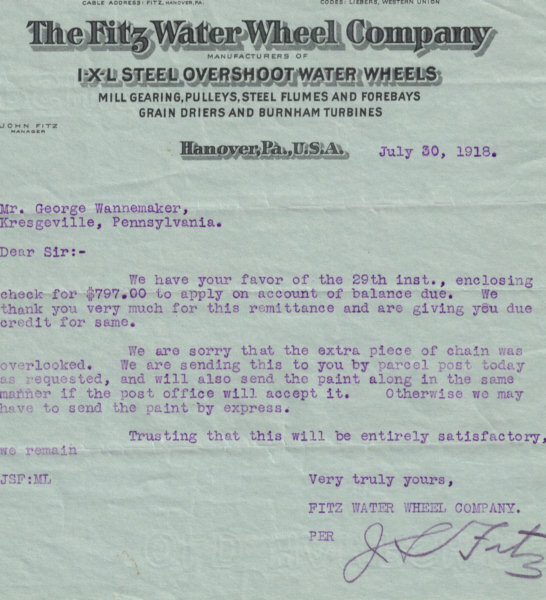 16-Actual final payment receipt for the Fitz Water Wheel dated July 30, 1918. Image courtesy Sarah Marburger.